Preheat the oven to 350° and grease a 9" square baking pan with cooking spray. In a medium saucepan over low heat, melt butter. Remove from heat and let cool for 4 minutes. Stir in cocoa powder and sugar until combined. Gradually mix in eggs and vanilla until the batter is glossy. In a medium bowl, combine flour and salt. Gradually add mixture to brownie batter, stirring until just combined. Pour into prepared pan and bake until a toothpick inserted into the center comes out with some brownie crumbs, 35 to 40 minutes. 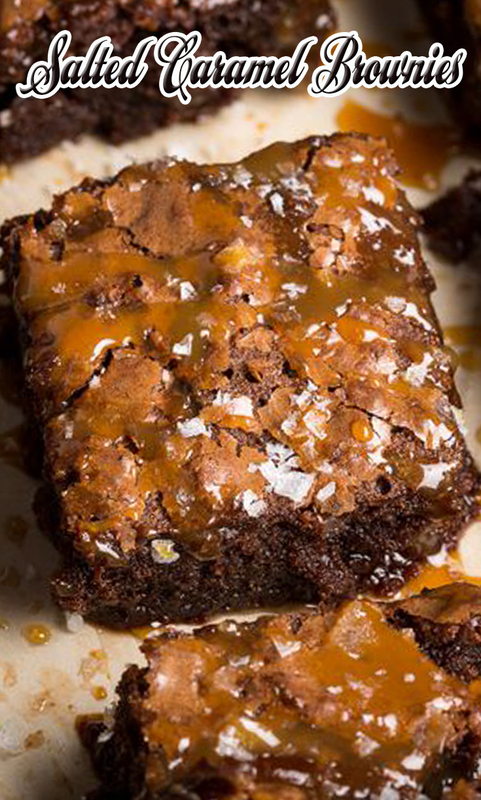 Let brownies cool. In a small saucepan over medium heat, add sugar and water and stir with a wooden spoon to incorporate. Bring to a boil, stirring frequently. Increase heat to medium-high and let go until deeply golden, not stirring, 4 to 5 minutes more. Turn off heat and stir in butter and cream. Mixture will bubble up so be careful! Let cool slightly in pan, until beginning to thicken, then pour over cooled brownies. Sprinkle generously with sea salt. Allow the caramel sauce to set, at least 20 minutes, before slicing.